that have never been used. to see a few fave challenges I was able to join! that I'm linking up to! Muse was so cool, way to go Anita! Beautiful cards! 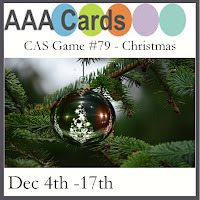 Love the CAS design of your Muse cards, especially the addition of the little trees, very cute! 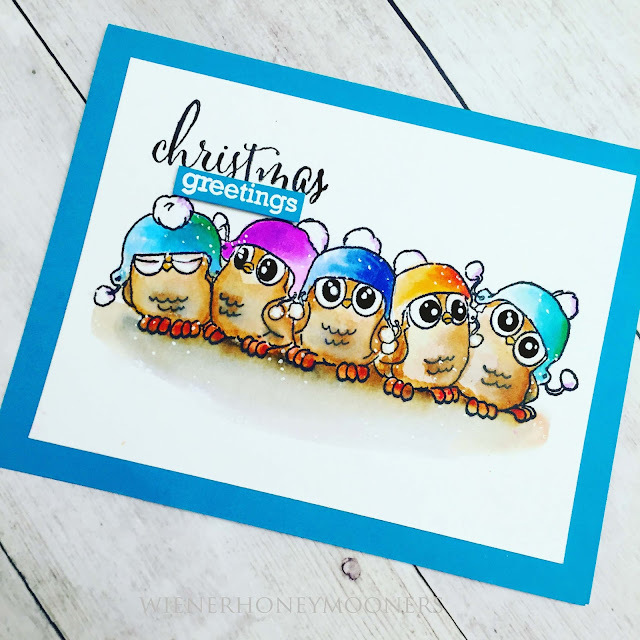 Love your colouring on your Color Throwdown card - gorgeous image! Totally ADORE those cute little owls, Kimberly! I have way too many products that I bought because I "HAD" to have them and then they never got used, or only got use once. I'm trying really hard not to buy as much these days and go back to the old things that are collecting dust. Three totally wonderful cards, all so perfect in their own way. love the blue and white of the first card, it makes me think of I think it is wedgwood. So delicate and pretty and those so cute owls. All your cards are wonderful, Kimberly, but that blue and white really does convey the sentiment in a clean and simply beautiful way. 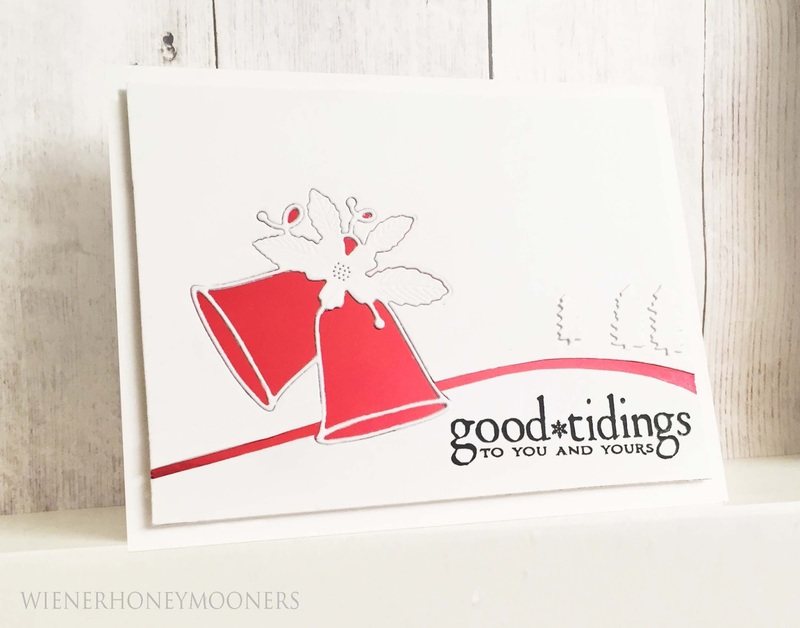 I'm so glad you shared this with us at Addicted to Stamps and More. Great set of cards, Kimberly! I love the red curvy line on the Muse card and fabulous coloring on your sweet birdies! Lovely Christmas cards!Thank you for joining our challenge at Cas on Sunday! These are all wonderful, Kimberly! 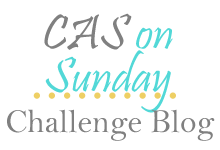 Fabulous CAS card. I love the white on the dark blue background and the snowflakes are a perfect touch with the wonderful houses. Thanks for playing along with us at AAA Cards! 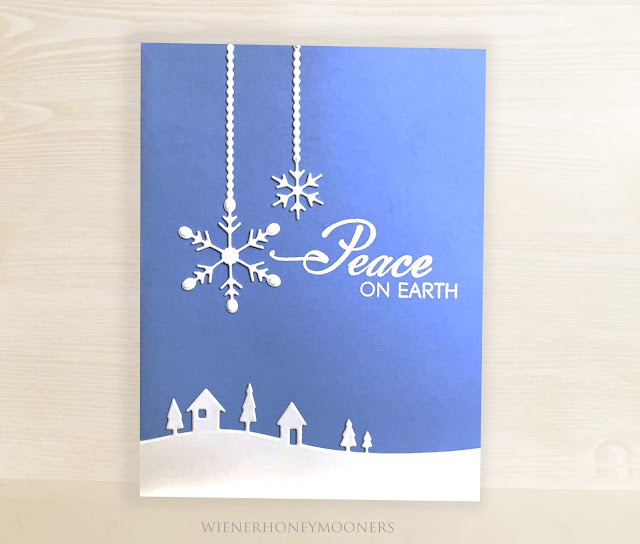 All wonderful cards - love the depth of the blue sky and simplicity of the white. Love the festive take on the Muse and also love those fun birds. You have a real talent in all sorts of styles, my friend! Thanks for joining us at Muse this week! Amazing cards!!!! Love them all. Hey Kimberly. It's been way too long since I stopped by. Saw your beautiful bell card at MUSE, and knew it was time for a visit. Love all the cards you've made here. Good to see you are still up to your old crafty tricks!! Fabulous set of Christmas card! Love your wonderful bell card. Fantastic take on Anita's card! All fabulous cards, I particularly love the birds!! Thanks so much for playing the Color Throwdown! Hope to see you back again! Those owls are adorable and you did a fabulous job coloring them! Kimberly, your CTD card is totally awesome!! I love it so much! Thanks for joining us at the Color Throwdown this week! PNW Crafters - Celebrating Lisa Lara's Birthday!